2-CD with 48-page booklet, 57 tracks. Playing time approx. 150 mns. By the 1950s, Roy Acuff's crown was slipping. He wasn't the star that he had been, but he was still making great records as this collection of ultra-rare sides cut between 1953 and 1958 for Capitol, Decca and MGM shows. Roy was adapting to the changing face of country music, but still making music that was true to his original vision. He re-made some of his biggest hits, including Great Speckled Bird, Lonely Mound Of Clay, Wreck on The Highway, and Precious Jewel. He also recorded some surprisingly good new songs including Goodbye Mister Brown (with Kitty Wells) and I Closed My Heart's Door, which was as powerful a performance as any he ever made. 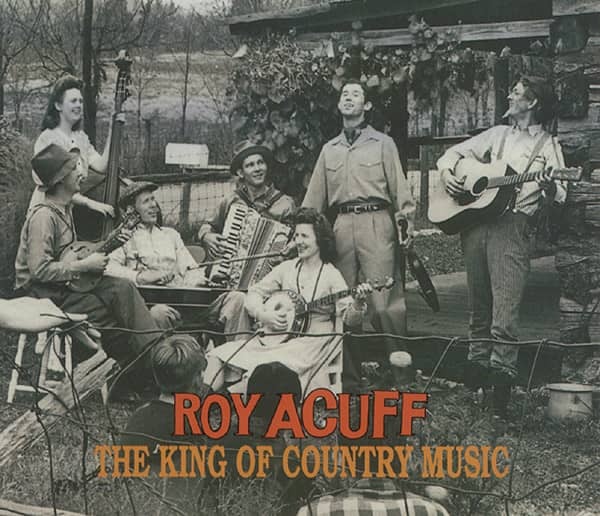 In the words of baseball giant Dizzy Dean, Roy Acuff was "the King of Country Music." It was a mantle that carried rights and obligations, and Acuff took them seriously. He developed an unyielding vision of country music rooted in an idealized past. He held true to that vision, and his audience kept faith with him. For decades, he traveled the country to play for his people. Later, as he became frail and his eyesight faltered, his audience traveled to him, as befits a king. 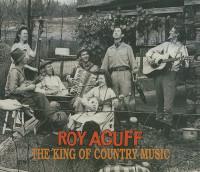 Roy Acuff wasn’t country music’s first star. He began recording in 1936, three years after Jimmie Rodgers died. Rodgers was indisputably the first galvanic presence in country music, but Acuff was one of the few from that era more-or-less untouched by his artistry. Of all the songs in Rodgers’ small but influential oeuvre, Acuff recorded just one, Muleskinner Blues. Beyond the fact that both Rodgers and Acuff had performed in medicine shows, their only similarity was that they were both very present in their recordings. Their music emanates a strong sense of self. Jimmie Rodgers drew on blues, minstrelsy, and parlor ballads. His most authentic songs were populated by rounders, drunks, drifters, and grifters who could still shed a tear for Mother and Home. He sang with an insouciant drawl that came from African American music. Acuff too drew on parlor ballads, but he recast them in the mold of music from the Southern Uplands. The fierce pieties, ancient ballads, and hoe-downs came from there, too. No sin would go unpunished. Death was omnipresent. "There was whiskey and blood all together/ Mixed with glass where they lay/ Death played her hand in destruction/ But I didn't hear nobody pray." That was the essence of Roy Acuff distilled to a single verse. The sin, the retribution, the moral. He sang full-throated as if amplification had yet to be invented, and he sang with a passion that came from believing that he was a warrior for God, Family, and Country. When the Grand Ole Opry had the opportunity to go coast-to-coast with just thirty minutes of its four hours, Roy Acuff was chosen as the syndicated segment’s host and star. He’d only been with the show a shade over a year, but it was already clear that he epitomized its values. He would be its emissary to the rest of the country. Already, he had cast off the smutty songs and jazz age tunes that his band had played when they were the Crazy Tennesseans. Now they were Roy Acuff and his Smoky Mountain Boys. No longer an ensemble, they were a star and his backing group. The Grand Old Opry made a conscious or unconscious decision that there would never be a franchise act. Acuff was as close as they ever came. In that role, he helped to draw the country music business to Nashville, and when he co-founded Acuff-Rose Publications in 1943, he laid one of the cornerstones of that business. And then Acuff lost his way. A fiercely competitive man, dating back to his days as a local league baseball player, Acuff tried to compete with up-and-coming country-pop singers like Red Foley and Eddy Arnold. He quit the Opry for a year, added an accordion to his line-up, and began singing pop songs, many of them written by his new partner, Fred Rose. By the end of this collection, he had reconciled with the inevitable. The day for his music had passed, but he still had millions of fans, who might not rush to buy every release as they had ten years earlier, but would still pay to hear him sing. The pop songs together with the accordion were gone, and Acuff had returned to his home turf. Bear Family has anthologized the complete works of Jimmie Rodgers, the Carter Family, Ernest Tubb, Hank Snow, Bob Wills, Uncle Dave Macon, Bill Monroe, Flatt & Scruggs, Johnny Horton, and others who preceded or were contemporaneous with Acuff. 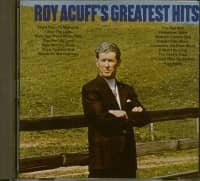 And now it’s Roy Acuff’s turn. Earlier, Bear Family gathered his 1950s Capitol, Decca, and MGM recordings onto a double CD. The Hickory and Elektra recordings that followed were plentiful and predominantly listenable, but rarely went anywhere that Acuff hadn’t already been. That leaves the recordings controlled by Columbia that were made between 1936 and 1951. 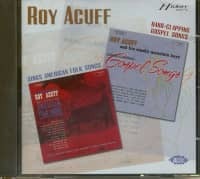 In those recordings, Acuff found his voice together with the songs he would sing for the remainder of his long life. The text for this set is divided into three sections: a biographical essay, biographical notes on Acuff’s musicians, and notes on the sessions. These were the recordings that led Dizzy Dean to brand Roy Acuff the King of Country Music. Except Dean actually said, "Friends, it’s always a pleasure to appear on stage with the King of the Hillbillies." These days Acuff would probably be prouder of that sobriquet. Customer evaluation for "The King Of Country Music (2-CD)"